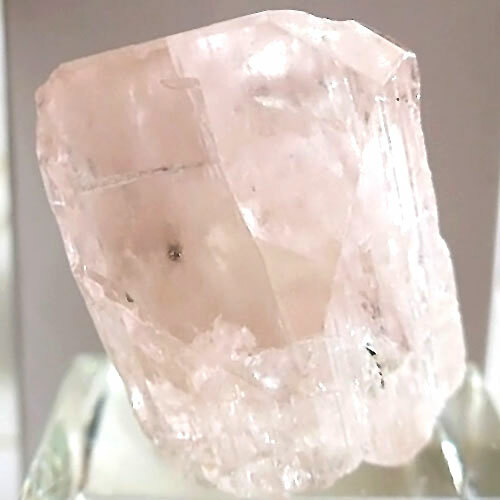 Danburite, a hard, heavy, white to colorless crystal with a vitreous luster and wedge shaped terminations was originally discovered in a source underneath what is now Danbury, Connecticut. Highly prized by rock hounds & metaphysical collectors, Danburite is a powerful crystal, with a much higher vibrational frequency than quartz. The metaphysical community prizes Danburite for its ability to stimulate intellect and to channel information from spiritual worlds during meditation. Read more about Danburite in our Crystalpedia.